For years, economists have worked to develop a way of measuring general well-being and comparing it across countries. The main metric has been differences in income or gross domestic product per person. But economists have long known that GDP is an imperfect measure of well-being, counting just the value of goods and services bought and sold in markets. The challenge is to account for non-market factors such as the value of leisure, health, and home production, such as cleaning, cooking and childcare, as well as the negative byproducts of economic activity, such as pollution and inequality. There is a close relationship between our calculation of per capita welfare for 151 countries in 2014 and per capita income or GDP. 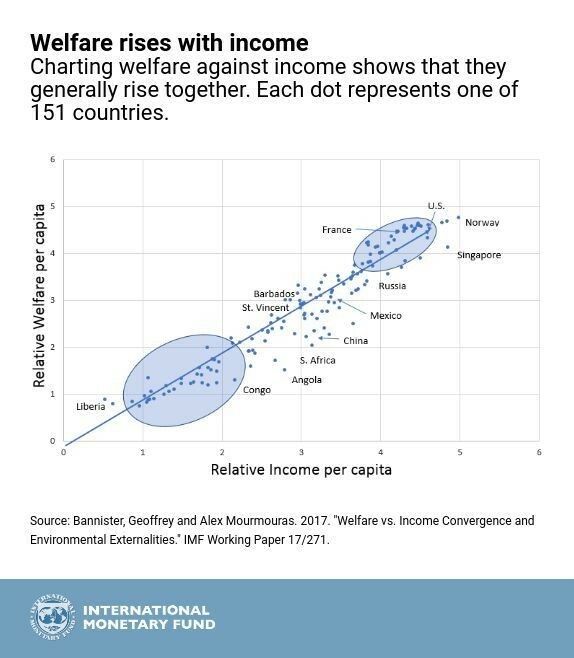 The chart above shows that most countries line up fairly well along the 45-degree line (where relative welfare and income per capita are the same) indicating correlation, but there are significant differences, too. Poorer countries on the left are largely below the line, showing that welfare is lower than income. Richer countries at the top right are above the line, reflecting welfare that is higher than income. Grouping countries by income quintile gives us some insight into why this is the case (see chart above). We can present the welfare index for each quintile calculated from the components of life expectancy, consumption, leisure, and inequality, with US levels as a benchmark. As a group, the top fifth of countries based on income has a combined welfare index almost 7 percent below the US benchmark. The bottom fifth’s index is about 95 percent lower than that of the US. As the main component of the index, consumption explains most of the difference in welfare between countries at different income levels. Richer countries in the top two-fifths benefit from higher life expectancy and lower inequality. Poorer countries in the bottom three-fifths have lower life expectancy and higher inequality, contributing to lower welfare. How has welfare changed over time? Welfare grew more quickly than income during the recent global financial crisis (chart below). This is particularly true for countries that were hardest hit in Western Europe and North America. The only exception is Asia, which had an impressively high level of growth in both income and welfare. What can we learn from the calculation of this index? First, don’t throw out GDP. As imperfect as it is, per capita income or GDP does capture the main component of well-being. Policies that improve the efficiency of production and contribute to income will continue to be important in promoting welfare. 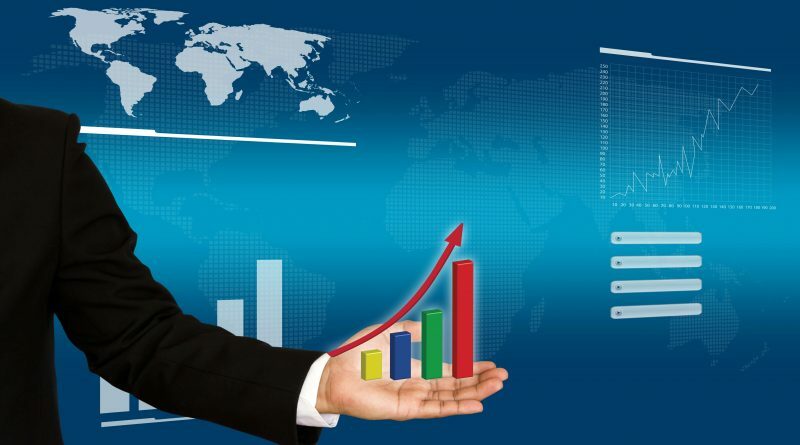 These include the bread and butter of IMF policy advice: promoting macroeconomic and financial stability, and structural reforms to improve the efficiency of markets. Second, improvements in health are vital. Poor health leads to lower life expectancy and imposes a significant welfare cost on poorer countries. Policies that improve health are powerful tools in raising welfare: improving access to healthcare, nutrition, and clean water; improving the quality of care; and taxing unhealthy behaviors such as smoking. Bad health also contributes to disruptions in employment, lowers productivity, and reduces economic growth. So, improvements in health will not only elevate welfare directly but are also likely to result in higher incomes and future welfare improvements in a virtuous cycle.